Our service center provides inspections, maintenance, and upgrades for all Ford models. With our help, you can keep your car running smoothly for years to come. Under Eric Frechette’s leadership, Palm Bay Ford has assembled a certified team of maintenance specialists. By investing in the latest technology and the most skilled professionals, we can keep your car running safely and smoothly. When you trust us with your vehicle, we repay you with Owner Advantage Rewards membership. This provides you with access to a range of rebates and promotions, allowing you to cut the cost of present and future services. Combined with our courteous customer support staff, competitive cost structure, and flexible scheduling, a visit to Palm Bay Ford is sure to be worthwhile. Who says service needs to disrupt your day? 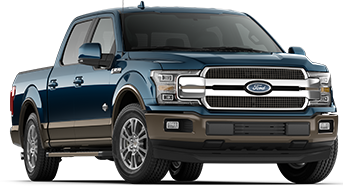 If you need to get around while we’re working on your vehicle, Palm Bay Ford is happy to shuttle you to and from any location within 15 miles. We can also loan you a vehicle to drive yourself.